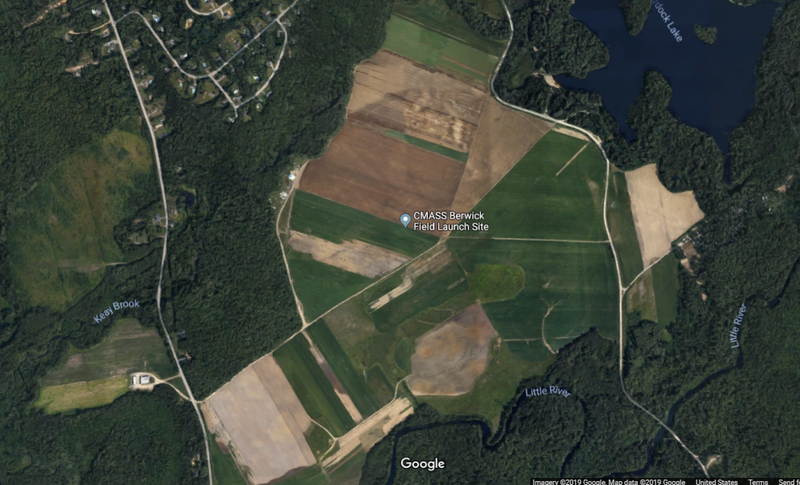 An announcement was made on Facebook last night: The Maine Missile Math & Science Club, a kind of sister club to CMASS, my NAR section, has lost its launch field, seen in the Google image above. This is a beautiful, wide, flat open area, a large sod farm in Southern Maine. The launch area sat in the middle of a nearly circular area 3/4 of a mile across. We had a waiver from the FAA to fly high power rockets to 10,000 feet. It was such a field. Even for rocketeers like me, who mostly stick to low and mid power rockets, this is a real loss. Whether or not you're flying high power rockets, or going anywhere near the 10,000 foot ceiling, it's so nice to have such a large recovery area. The chances of losing a rocket over the trees is minimal. And with such a flat field, it's much easier to spot a rocket on the ground, even if it's half a mile away. I didn't get the chance to go there at all last year, so I'm particularly sad about this. I got my Level 1 high power certification on this field. I saw Joe Barnard get his L1 on this field, and do his first demo flights of his thrust vectoring system for a NAR crowd there. Scout takes off in its first NAR demo flight. The rock-steady flight of this finless rocket blew people's minds! This takes me back to our chat with Steven Skinner and Ronald Dunn of Mach 1 Rocketry on The Rocketry Show. In that episode, we discussed the fact that most of the land we fly on is farmland. This land isn't our right - it's how people make their living. 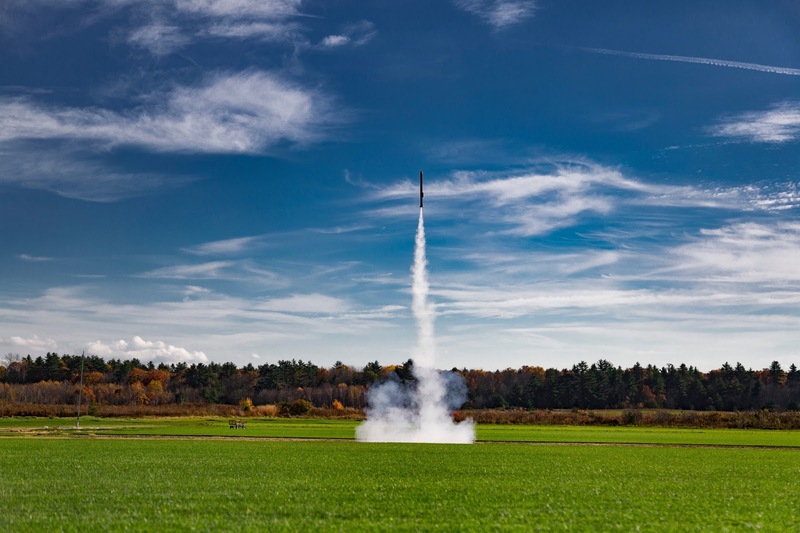 If the land owners decide that hosting rocketry events is no longer in their interest, they are absolutely within their rights to do so, and rocketeers would do best to respect their wishes and not complain. It can be frustrating and disappointing to lose a good field, but it was always a privilege to launch there in the first place, not a right. Land owners owe us nothing, and deserve our gratitude for letting us fly there. The MMMSC did not do anything wrong to lose this field - the farm changed hands, and the new owners simply decided they needed to work the land 7 days per week. But it goes to show there is always a chance you may not always be able to fly at your current site. Here are a few things to consider, if you are flying on someone else's property. on hand helps ensure the damage doesn't spread to the surrounding fields. First, treat the owners and their land with absolute respect. Leave no garbage behind. Do not set fire to their field or trample crops. Have appropriate fire safety and ground maintenance equipment on hand. Make sure the land owners are treated respectfully by club members. It doesn't hurt to include farmers in the activities if they show any interest or curiosity - maybe they have children or grandchildren who would like to launch some rockets. Consider allowing friends and family of the land owner to come to a launch without charging them launch fees. While we're at it - consider giving a portion of the launch fees to the farmer as thanks for allowing you to use their fields. Launch fees won't make a farmer rich, but a token like that can go a long way. Make it easy for a land owner to say yes, because saying no is already pretty darned easy. Finally, if a land owner asks your club to leave, do so without complaint, and thank them for all the time they've allowed you to fly there. You may find that things change in the future, and you might one day be able to return. Burn your bridges, though, and you'll never fly there again, guaranteed. Leave your land owners on good terms! A field can be lost for any number of reasons that have nothing to do with bad blood between clubs and land owners. A farm may change hands, through sale or inheritance, and the new owners might not be as understanding about our little hobby. They may decide to grow a different crop, and may deem rocketry - and rocketeers' feet - to be detrimental to the health of the new crop. The FAA may decide to stop issuing waivers over a particular site. Or, heck, a farm may be sold and turned into a suburban development. So it's never a bad idea to keep an eye out for potential new sites. Occasionally scouting out new prospective land is a good way to find a backup, if needed, or even a second field for the off season or special club events. We do hope we will be able to return to the sod farm one day. I'm not involved in communicating with this land owner, so I don't know what the odds are, or what it will take. But I certainly hope we can. A field like this one is hard to replace, especially in New England. There's just not much open, flat, treeless space where land owners are willing to let strangers come and fly rockets on their property. I do have other fields to fly on, so I'm not done, by a long shot. Our Amesbury field has a 5,000 foot waiver, and for me, that's more than plenty of altitude (for now). It's a smaller, hillier, windier field, so I've lost a lot more rockets there, but I still love it. Our Acton field has more recovery hazards, but it's fun to fly smaller rockets there. 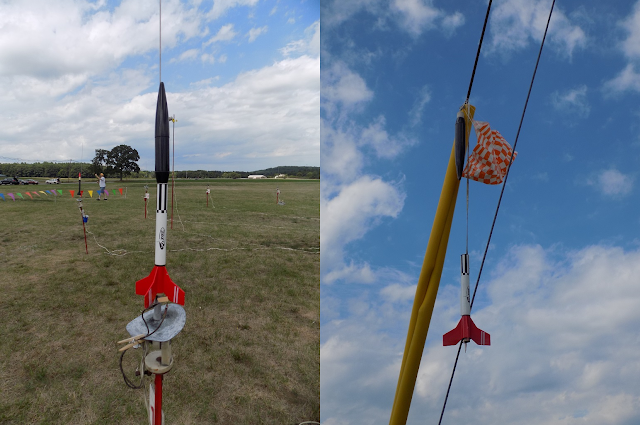 Our low power field in Acton is for smaller rockets, and while it's small, its' a fun space. There may be more trees and power lines, but I definitely appreciate a field where you don't have to feel inadequate not flying HPR. For now, though, if I want to see large, M-powered rockets fly, I'll have to plan a trip further afield. How sad. We also are in the process of loosing our high-power field. For now, the first half of the year looks "OK", but the landlord is deciding to go with a different agricultural crop interest... after negotiating a monthly lease, AND a sanitation fee for a port-a-potty. So your points are well taken, Noob. We invite you to join LWHPR. We are a winter launch site closed for the winter but we will begin operations again in Jan. 2020 or Dec. 2019 if we're lucky! Estes Black Brant II Coming Back!